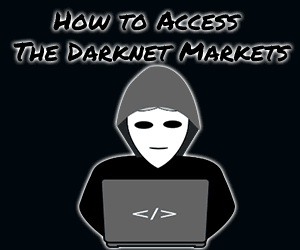 If you’re here specifically for CharlieUK Market review; you’re well-placed, however, if you’re just strolling around trying to find a Darknet marketplace in general I’d advise you to take this CharlieUK Market review with a pinch of salt. That’s so because CharlieUK is an individual-vendor marketplace, meaning it doesn’t have a team of random vendors selling on the marketplace rather it’s like a single web page where a single vendor has listed his products up for sale. Hence it lacks profoundly when it comes to User-interface, security features, number of products and everything else, it’s the basic(est) form of a website which can be crafted to sell Drugs on the Dark Web. Vendor Bond: Vending not allowed. Only Cocaine and Haze Skunk Available. With the traditional Darknet markets (Dream Markets, WallStreet Market, Empire Markets and etc), the UI section in my reviews is dedicated to reviewing the layout of the platform, the ease or hardship of using it and so on. But because CharlieUK isn’t a traditional Darknet market and rather is more like a single web-page site its user-interface is almost non-existent for the most part. The homepage basically has a long description of all the rules, products, sources, policies and everything else. Then there’s a left-sidebar with all the important links such as F.A.Q, How to Order and PGP Key. The next section below the links on the left-sidebar is a sort of weight-filter for the products available, it simply has different weights for the same product- Cocaine. Users click on the amount of product they need from these links to purchase them. Is Registration Required to Purchase on CharlieUK Market? As already stated it’s a single-vendor marketplace hence no registration is required to access or purchase products from the marketplace. It does make the process simpler, faster and more secure to an extent as registration would need extra time and also in some cases may be a reason for breach of privacy, or data-logging. What Products are Available on CharlieUK Market? CharlieUK isn’t a product-rich market, in fact it’s probably the lowest stocked (based on types of products) marketplace I’ve ever crossed paths with but that can be excused considering how only one person runs the operations. Also, because it trades in only two products it probably does have an expertise in those products to quite an extent. The primary product in its arsenal is Cocaine which is available in 6 different pre-specified quantities i.e. 0.3gm, 0.5gm, 0.7gm, 1.0gm, 1.4gm, and 2.0gms. The only other product available is Haze Skunk and is available in either 7gm. Or 14gm.+ quantities. So that’s about the products available on CharlieUK Market folks. It doesn’t feature hundreds and thousands of products, agreed. But for those who’re seeking exactly Cocaine or Haze Skunk it does seem to make for an acceptable marketplace. How to Order on CharlieUK Market? Because it isn’t a traditional marketplace, the order process over there too is quite different and doesn’t follow the traditional choose product > deposit funds > purchase procedure. Rather, users need to manually E-mail the admin at CharlieUKontor@safe-mail.net with the product details such as name, address, and quantity. Upon doing so, the admin sends back a Bitcoin deposit address for the funds deposit. And upon successfully depositing the funds the product is shipped the next morning via 1st class shipping (as the market claims). Security can be of two forms Technical and Ethical. Technical would mean the account security, encryption protocols, server security and so on. Ethical would mean- Trust. If you can trust CharlieUK to not scam you or store logs? Technically it’s not a very secure platform by itself primarily because nothing happens “on” the marketplace as already explained. The order happens off-site, via E-mails hence security protocols such as 2-FA, Multisig or Escrow do not have an existence. When it comes to Ethical security, questions such as “can you trust CharlieUK to not scam you?” arise. Well, there’s no absolute method to establish that, however CharlieUK has provided his PGP key which can be verified for his profile on other established marketplaces such as Dream, WallStreet, SilkRoad 3.0 etc. The stats for the above said PGP encrypted profile can be verified by anyone on the marketplaces which would provide a transparent review of the authenticity of CharlieUK. Also, the marketplace from its end insists new buyers to not buy more than 0.3gm. of product for a meagre sum of money, it does suggest his willingness to prove his trust and creditability for the long-term. Does CharlieUK have a refund policy? Yes, and No. Meaning, it has a very strict no refund policy and users only get a refund if there’s a quality issue which can be proven. As for shipment, it does ship worldwide however in most high-risk countries (such as America) users would be required to pay a slightly higher fee. The packages are stealth-packed hence the platform claims they’re almost never seized. Which Currencies are Accepted on CharlieUK? CharlieUK accepts the only Bitcoin for now; although in the order-mail it’s up to the users to be able to convince the admin to accept some other form of currency depending on the amount of products you order. Officially however it’s only Bitcoin for now. If you wish to use some other currency with CharlieUK you may do so on other marketplaces which accept other currencies if you can locate Charlie’s profile on them. So that’s all I the marketplace is made up of folks, considering how it’s a single-vendor site the lack of security features, or an automated interface can be excused in my personal opinion. For a single vendor the quantity of product-stock too is impressive, the only downside may be the trust-factor for new buyers considering how there’s no third-party to check or enforce a successful trade. For the same reasons, no minimum deposits, number of confirmations or anything as such are required. In a nutshell, it’s more of a manual marketplace with just the listings on the platform. So is it worth a try? Definitely, considering there are almost no negative reviews of the marketplace and it’s already coupled years old. But hey that’s just what I think do let me know your two cents on the marketplace as well as on this CharlieUK market review. SilkRoad 3.1 Review – Is it Legit or Scam?